When we meet Sebastian Castellanos at the beginning of The Evil Within 2, he’s a broken man. The mind-bending events of the previous instalment fractured his psyche. He blames himself for not being able to save his daughter Lily from a house fire, and his wife left him. He’s been booted from the police force and he spends his days in seedy bars, searching for solace at the bottom of a glass. When his ex-colleague Juli Kidman tells Sebastian that Lily is still alive, he agrees to enter the nightmarish hellscape of a sort of virtual ghost world called STEM to save her. Can he also save himself? Sebastian was the lead character in the first Evil Within, which was released to mixed reviews in 2014. In this sequel he has officially become a trope: the Grizzled, Troubled Video Game Dad. The first major antagonist we encounter, Stephano Valentini, is also a gaming cliché. Like BioShock‘s Sander Cohen and Fallout 4‘s Pickman before him, Stephano is a cultured aesthete and artist who enjoys the suffering of others and creates like, totally macabre works from body parts. Once the hackneyed photos of eyeballs showed up on the walls of Stephano’s lair, I was ready to check out even though I was only about a half hour into the game. Rather than shy away from its B-movie foundation, however, Evil Within 2 revels in it. Screenplay writer Trent Haaga — whose resume includes films like Bonnie & Clyde vs. Dracula and Splatter Disco — knows his way around the genre and imbues the story with an air of familiar absurdity. The game is over-the-top and melodramatic, but ultimately it’s a touching take on guilt, sacrifice and redemption. Lucky for us the hamfisted dialogue and histrionics are filtered through a survival horror experience for the ages. STEM is a project conducted by the shadowy organisation Mobius. It’s a machine that they hope will unite the minds of humanity into one consciousness led by a core mind. In The Evil Within 2, the STEM core has manifested a simulated town called Union. When Sebastian enters Union in search of Lily, he finds that Union has been corrupted. Denizens have been transformed into savage, murderous creatures called The Lost and the town is on the verge of collapse, literally breaking apart. In early chapters of the game, Union is a semi-open world environment. A majority of the buildings can be entered and explored, and there’s plenty to find. Union is a scavenger’s paradise filled with necessities like crafting components and ammunition to optional collectibles. — I spent a good nine or so hours here during Chapter 3, searching through every nook and cranny. It’s an expansive, detailed world, a simulated town that is detailed enough to feel truly lived-in. It’s also an exceedingly dangerous one. The Lost wander the streets, feeding on the fallen, and there are even greater monsters waiting to pounce. As you follow Lily’s radio signal across the large map, patience is the name of the game. I spent the majority of my time crouched, sneaking up behind unaware enemies for the ol’ stab-kill. Sometimes they heard me coming and I’d be forced to use a gun or run away while hoping I didn’t bump into anyone else along the way. Fighting with your knife is particularly ill-advised. It’s likely you’ll just irritate the monsters and they will bite you harder. That said, hand axes you may find are only good for one hit, but that one hit is often a decapitation. Hand axes are your friend. Hand axes are life. A feeling of vulnerability is key to the survival horror experience, and it’s here that the game shines, particularly in early chapters. I found myself constantly mitigating risks and solving puzzles: if I break this car window to get to the gunpowder inside, will that Lost hear me? Is that body actually dead or playing possum, waiting to grab me as I walk by? How am I going to get past these six creatures without alerting any of them? Often a waypoint that’s a mere 10m away could take 20 minutes to reach. As in every other survival horror game I’ve played, I eventually grew cocky and lazy. My relentless need to pick up all the shinies left my ammo pouches overflowing and my pockets filled with crafting supplies. All of my guns were full, so I started using them more liberally. Tired of crouching, I simply started jogging — if I got attacked and had to use a few shotgun shells to get myself out of a bind, what of it? I couldn’t even pick up all the shells I’d found, they were so plentiful! You’d think that years of survival horror gaming would have taught me a lesson, but I was brazen. My coffers would be full forever! 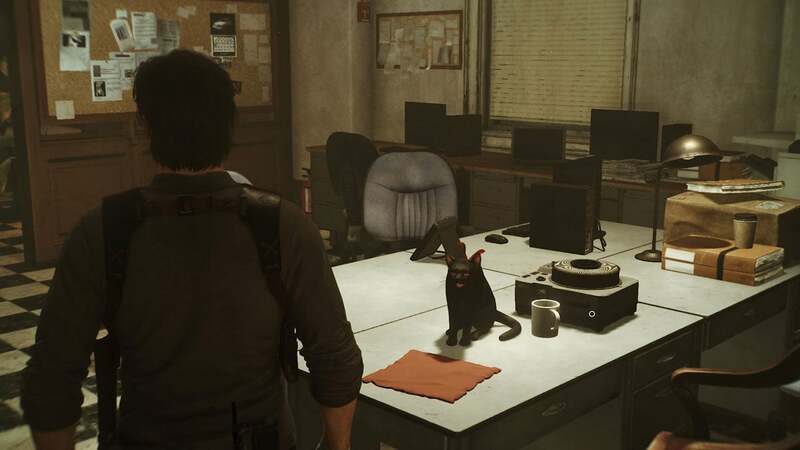 That, of course, is when The Evil Within 2 pulled the rug out from under me. In later chapters the landscape was all but barren, with a few crafting components scattered about but virtually no ammo anywhere. The last third of the game was brutal for me. As supplies became increasingly scarce, enemies became increasingly difficult. While I only had myself to blame for the “stock = 0” on nearly every gun in my inventory, I admit it made for many an intense battle as mini-bosses became more and more prevalent. Once again I felt completely vulnerable and it was back to crouching. In addition to the search for Lily, there are several side missions to complete. While entirely optional, they help flesh out the town of Union and the game as a whole. Maybe a task will be as simple as helping out one of the few remaining “normal” citizens who is trapped by The Lost. Others are more involved, multi-step quests that will force you to traverse Union and beyond. I found these to be worth my while. Not only did I want more story, but helping out the Mobius agents trapped in STEM generally yielded useful rewards like weapons or access to supply caches. 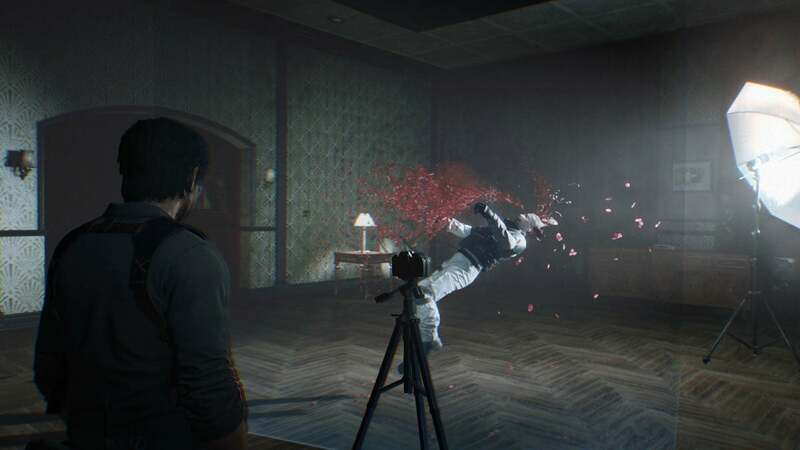 The Evil Within 2 pivots several times during the course of a playthrough, which helps prevent it from becoming rote or stale. While a good portion of your time will be spent exploring Union, plenty of chapters are spent in more linear environments. Whether it’s the STEM utility tunnels of The Marrow, a void steeped in blood and hellfire, or a return trip the environments from The Evil Within, the only thing you can expect is the unexpected. Well, that and a lot of violence. Veterans of the first game will find much that is familiar: safe houses with workbenches for crafting, mirrors that teleport you to Nurse Tatiana and her levelin’ up chair, enemies that drop green gel upon death, and of course your trusty crossbow. New players will also feel welcome as the story heavily references the first Evil Withinbut it’s not a continuation of it. The game has its hiccups. Late in the adventure I encountered the occasional frame rate drop and one crash to my PS4 dashboard. Hit detection could be very iffy, particularly if a creature grabbed me. After breaking free, it seemed that enemies sometimes had a small window of invincibility, and ammo was wasted. Coupled with the fact that Sebastian isn’t the most limber guy (his slow turns had me flashing back to early Resident Evil games), close combat sometimes was very frustrating. 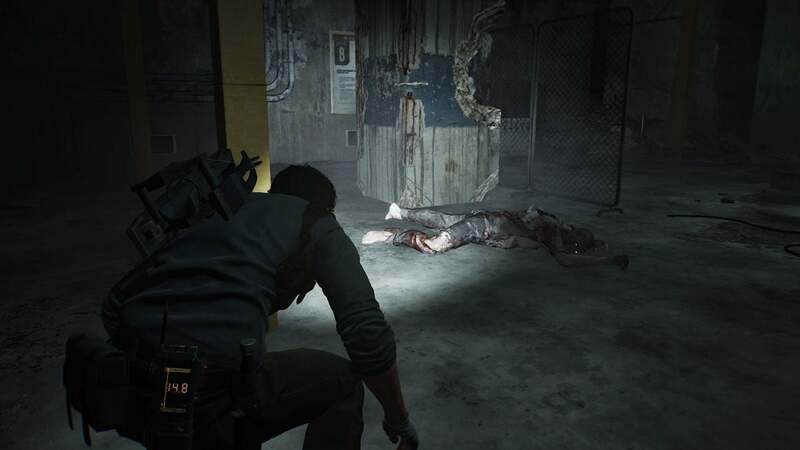 The Evil Within 2 gets off to a slow, cliché-riddled start, but once I began skulking around the streets of Union my worries dissipated. The game leans into the melodrama, but ultimately this is a strength, a sly wink and nod at its outrageousness. By the end of the journey I found myself wrapped up in the story, feeling some feelings in my heart place as I watched allies fall to — yes — the evil within STEM. This game is everything I love about survival horror. There are foreboding environs to explore. Horrific monsters both large and small to slay or avoid. The sound design sends chills down the spine, from the evocative soundtrack to the anguished moans of The Lost. There is plenty of challenge and players must choose their battles wisely and carefully manage their resources. With a shocking amount of blood and a surprising amount of heart, The Evil Within 2 slashes, stomps and sneaks its way into the pantheon of all-time greats. When I finished the story, I had to stop myself from immediately starting a new game. That’s partially because this is one of the best survival horror games I’ve played, but also because you unlock several snazzy new shirts for Sebastian, alongside other goodies to take with you into NG+. If I’m going to descend into a virtual Hell and fight all manner of disgusting monsters, I want to look good doing it.